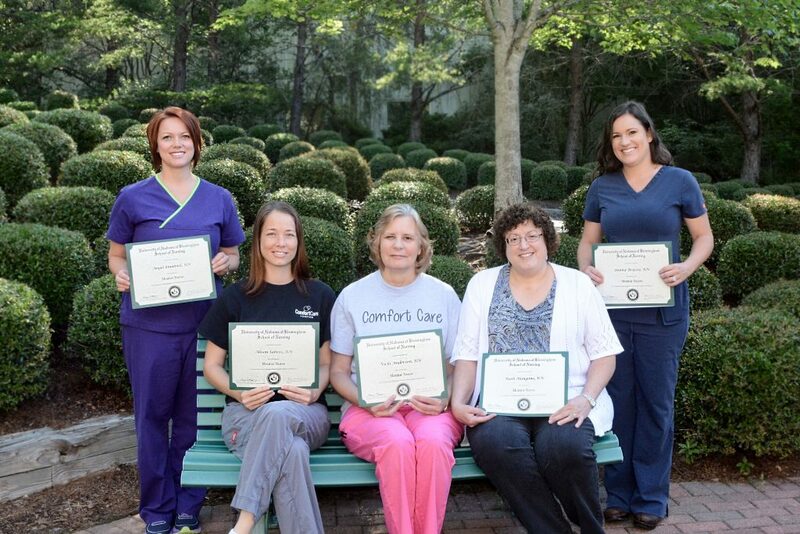 Comfort Care Hospice of Pelham Administrator, Deborah Cowfer, RN, was honored to receive certificates for her nursing staff from UAB School Of Nursing. Comfort Care’s nurses were recognized for serving as mentors for UAB students in NUR 427l Concepts of Complex Nursing Practicum. During this mentorship, Comfort Care’s nursing staff taught UAB students the importance of palliative, hospice and interdisciplinary care. Students were able to gain appreciation for the principles and ethical challenges of end of life care. Congratulations, Comfort Care Hospice of Pelham!